My comment: My heart goes out to the families of these 2 brave men that this photographer is honoring with this photo tribute. Too often we forget the casualities of war and the personal affect. These photo’s are amazing and imagine for an instant if this is a glimpse into the future that John saw in Revelation describing the locusts and Horses coming with the trumpet judgments. 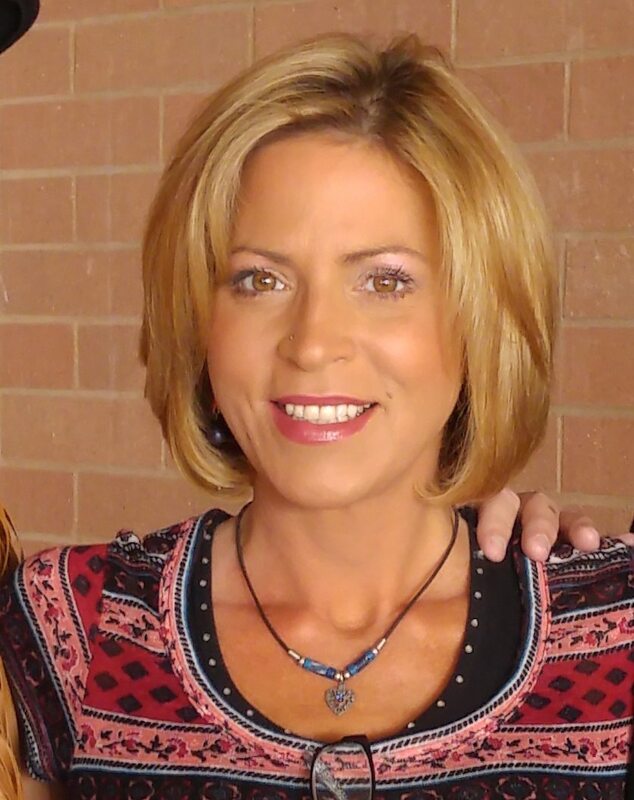 Or Joel even in his prophecies, or even Daniel, these men fainted and appeared dead at some of the visions they were given and had to be revived by the Angel visiting them. Just a thought. 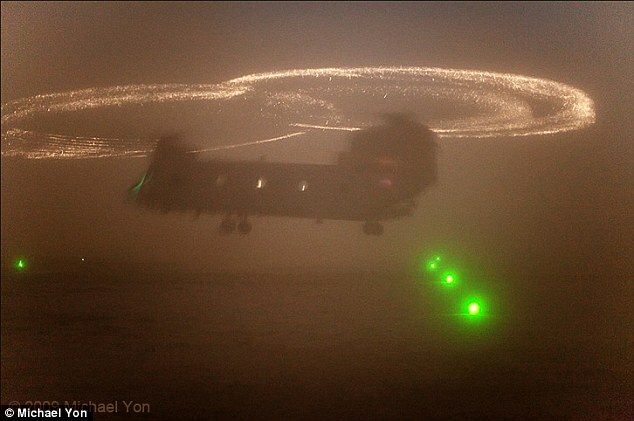 Until recently, the dazzling visual effect caused by helicopter blades hitting sand and dust – and creating mesmerizing halos described as ‘one of the most beautiful things you’ll ever see in a war zone – had no specific name; observers would simply marvel at the breathtaking sight without an understanding of what was causing it – or what to call it. 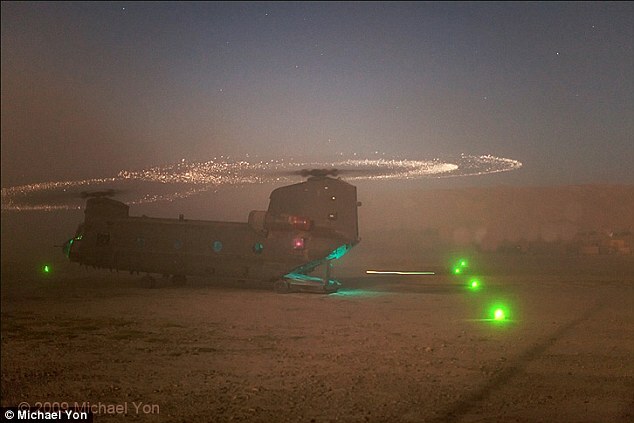 Now, however – to honor the memories of two soldiers killed in the war in Afghanistan – the physics that create these types of breathtaking halos has a name: The Kopp-Etchells Effect. 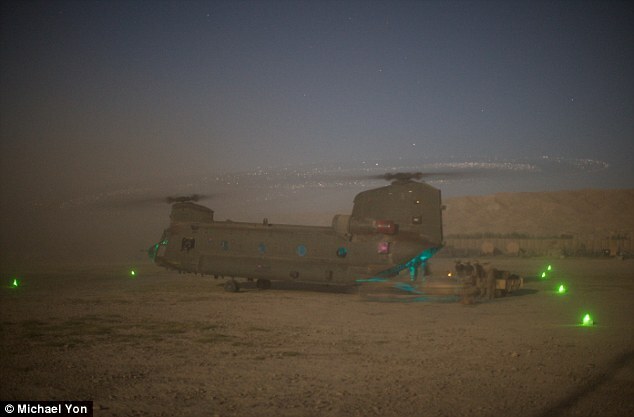 The effect is named for U.S. Army Ranger Benjamin Kopp and British soldier Joseph Etchells, and was given its title by a photojournalist Michael Yon – who was covering the war and captured the effect in dozens of photos – as a way to honor the fallen soldiers. Kopp and Etchells were killed in combat in Sangin, Afghanistan, in July of 2009. At the time of their deaths, the two men were just 22 and 21 years old, respectively. 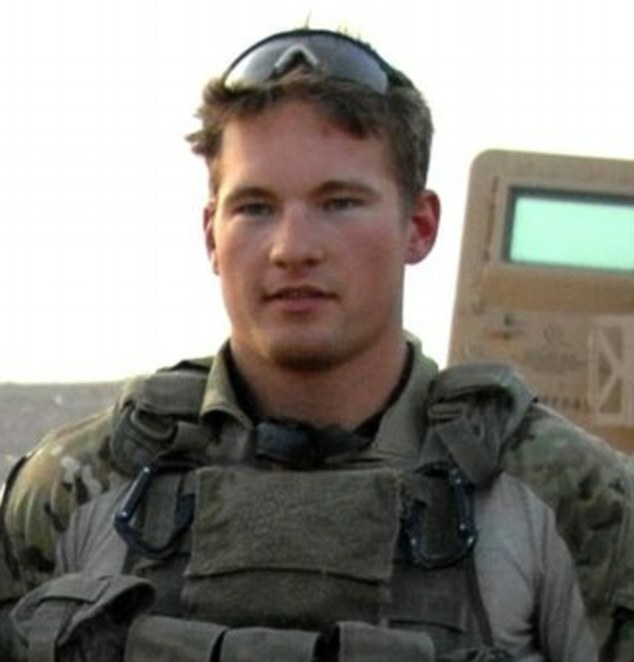 Kopp was born in Minnesota and enlisted in the Army straight out of high school, working his way up to the rank of corporal in just three short years. 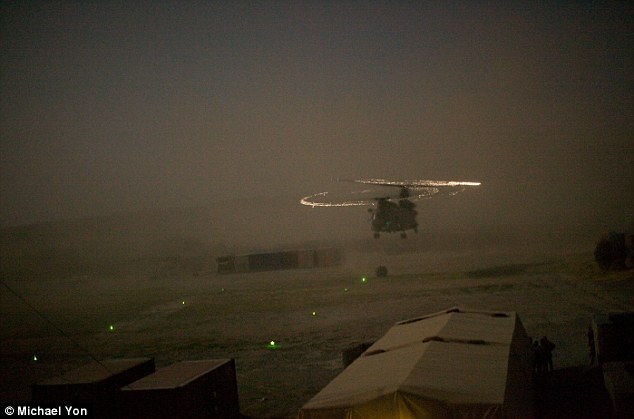 He completed two tours of duty in Iraq prior to his fateful tour in Afghanistan. Etchells hailed from Greater Manchester and joined the British army in 2003. He, too, rose to the rank of corporal, and had previous deployments before the tour in Afghanistan that ultimately took his life. 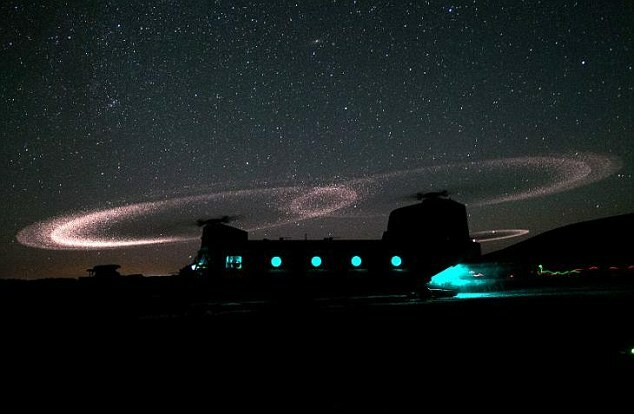 The stories of the two soldiers aren’t too dissimilar from many members of the armed services, and like most soldiers deployed in Afghanistan, the two men likely would have been witness to the stunning halos in the night sky that came with helicopters heading to-and-from various missions. 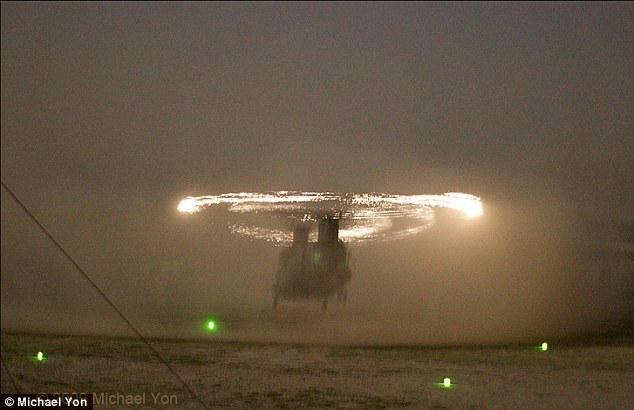 To honor the two men – and the brave men who, like them, spent countless nights escaping the horrors of war in the beauty of helicopter halos – Yon dedicated the effect to them. 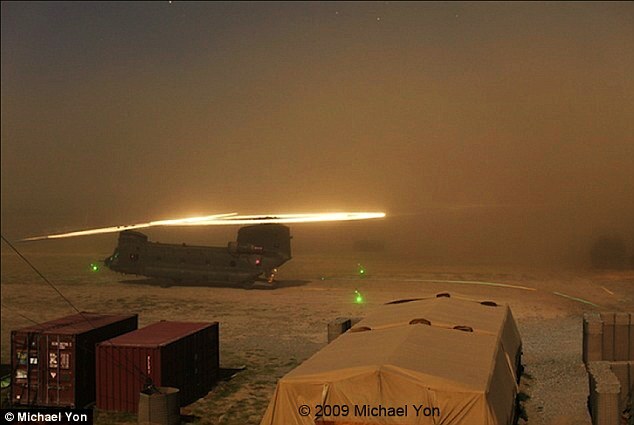 Until recently, what caused the Kopp-Etchells Effect wasn’t entirely understood. 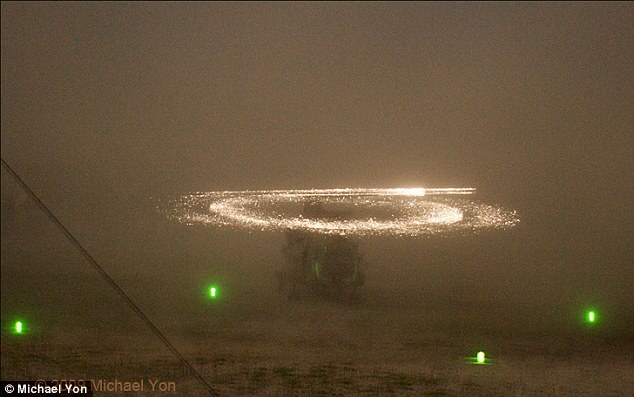 Other theories were that the extreme speed of the blades moved dust particles so fast that they burned up like meteors in the atmosphere. He goes on to explain that, to prevent deterioration of the blades, they are often coated with an abrasion strip, typically made of metals like titanium and nickel. 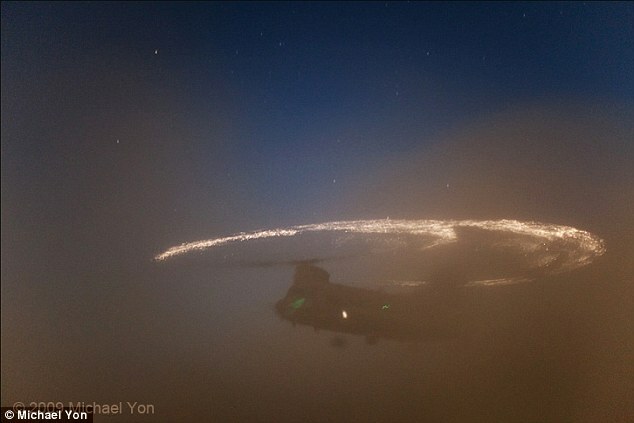 Those bits of metal come in a cloud of pyrophoric (flamable) particles, which ultimately burst into flames, thus causing the wondrous Kopp-Etchells Effect.